We currently have one independent trainer at Boulder Creek that has several years of experience and is dedicated to getting your horse ready for their career as a show horse or a trail companion. Carla's knowledge and skill training horses was developed at an early age, training her backyard ponies and horses. She learned to ride with her family and then expanded her skills, learning from other trainers. While earning a bachelor's degree in Ag Communications, Carla was working and riding at various horse barns and further expanded her skills in training and showing horses. After college, Carla continued riding, training, and showing horses with various trainers. 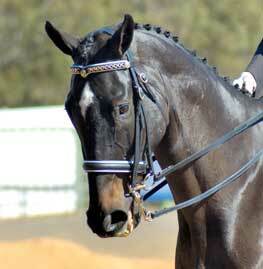 In 2004 she leased a barn and began professionally training. Since 2008, Crystal Creek Equine Center (now Boulder Creek Equestrian Center) has been Carla's home base. Carla has trained, shown, and coached horses and riders to World Championships, Top 5 and Top 10 World Championships, superior ratings, Register of Merits, and circuit championships. Carla's training focus is on western pleasure, horsemanship, trail, hunter under saddle, equitation, and showmanship. However, for Carla, it is not all about winning. Carla enjoys teaching both children and adults about horsemanship and horses and works often with 4-H kids. Carla enjoys seeing the determination and happiness in a riders' face when they achieve their goals. But Carla doesn't stop at training. She is an accredited judge and horse shoer. From the hoof up to the rider/handler, Carla works tirelessly at expanding her skill and knowledge.